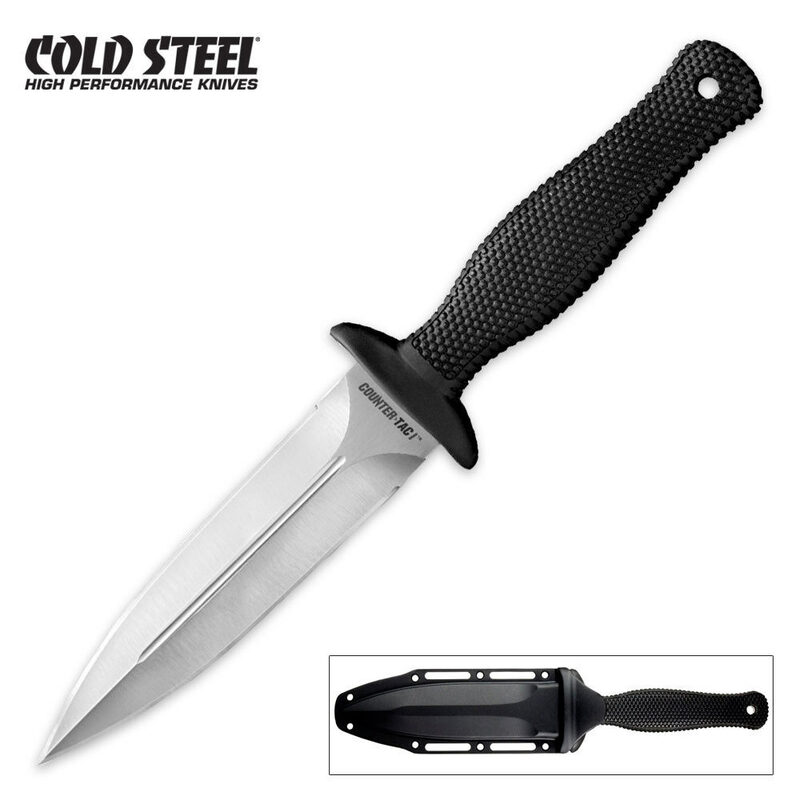 Features a 5" AUS 8A steel blade and a 4.50" Kraton handle. Solid full tang construction. Comes complete with a Secure Ex sheath. Very nice blade. Very solid construction. The back of the blade is a hollow grind and I forget why Cold Steel did that at the moment. Very sharp with perfect balance. The sheath is nice too. It comes with a clip on the back that can be reversed or removed if desired. The sheath also allows the blade to be easily attached to tactical gear. Great buy for being $40 less than what Cold Steel's website says.